BeginningTuesday, September4, 2018 at 7:00 a.m. Pacific Standard Time (PST) - Until the needs of the service are met and is subject to closure without prior notice. This exam includesa Supplemental Questionnaireon the applicationthatisalso viewable on the bulletin.We encourage you toreview the questionnaire prior to theopening of the application filing to prepare your responses. To view the Supplemental Questionnaire on the bulletin, select the "QUESTIONS" tabnear the top. **Applicants who will be receiving their bachelor's degree or higherin civil engineering by June30, 2019,may compete in this examination; however, the names of such candidates, if successful in the examination, will be withheld from certification for employment until they present documentation that they have satisfied all the requirements for a bachelor's degree or higherin an ABET approved civil engineering curriculum. Applications from persons with degrees from foreign universities will be accepted ONLY if the course work completed is found to be equivalent to a degree from a school accredited by ABET. This examination will consist of a structuredvideo interview covering education, experience, desirable qualifications, personal fitness, and general ability to perform the duties of the position weighted 100%. Invitation letters for the structuredvideo interview may be sent via e-mail or U.S. postal mail. 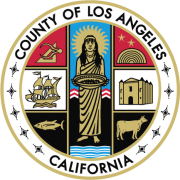 Candidates are responsible for providing a valid mailing address and an e-mail address that can receive e-mail from dpw.lacounty.gov. Candidates must notify the department contact of any updates to their contact information (e.g., mailing address, phone number) and are encouraged to check their junk mailboxes to ensure proper receipt of notices. The structuredvideo interviewsaretentatively scheduled to begin onSeptember 24, 2018. Candidates must achieve a passing score of70% or higher on the structured video interview in order to be placed on the eligible register. Applications will be processed on an "as-received" basis and those earning a passinggrade will be promulgated to the eligible register accordingly. The names of candidates receiving a passing grade in the examination will be placed on the eligible register in the order of their score group for a period ofsix (6) months following the date of eligibility. NO PERSON MAY COMPETE IN THIS EXAMINATION MORE THAN ONCE EVERYSIX (6) MONTHS. The acceptance of your application will depend on whether you have clearly shown that you meet the Selection Requirements. Please be sure your application shows complete information, including dates for education and jobs held which relate to this position. In the space provided for education, include the names and addresses of schools attended, titles of courses completed, dates completed, and number of credits earned. For each job held, give the name and address of your employer, your job title, beginning and ending dates, and description of work performed. All information supplied by applicants is subject to verification. We may reject your application at any time during the examination orselection process. Applicants must provide a copy of their transcripts with their application or within fifteen (15) calendar days from filing. Transcripts must indicate the degree major, degree level, and degree confer date. Applicants who will graduate and meet the requirements byJune 30, 2019 must indicate their expected graduation date on their application andattach a copy of their most current transcript as proof of theircurrent school enrollment and degree major within fifteen (15) calendar days from filing. Unofficial transcripts are acceptable; however, official transcripts will be verified at the time of appointment. Applications submitted without the required informationwill be rejected as incomplete. Please note that ALL information included in the application materialsis subject to VERIFICATION at any point during the examination and hiring process, including after an appointment has been made. Utilizing VERBIAGE from Class Specification and/or Selection Requirements serving as your description of duties WILL NOT be sufficient to meet the requirements. Doing so may result in an INCOMPLETE APPLICATION and you may be DISQUALIFIED . Apply online by clicking on the green "Apply"button at the top rightof this posting.You can also track the status of your application using this website. Note: if you are unable to attach required documents, you must e-mail them to mnunez @dpw.lacounty.gov within fifteen (15) calendar days from application filing. Please include your name, exam number, and exam title on the faxed documents.